Love the boho look of the paisley trend? Get it on your bikini briefs and you'll feel like a free spirit in the sun this holiday. 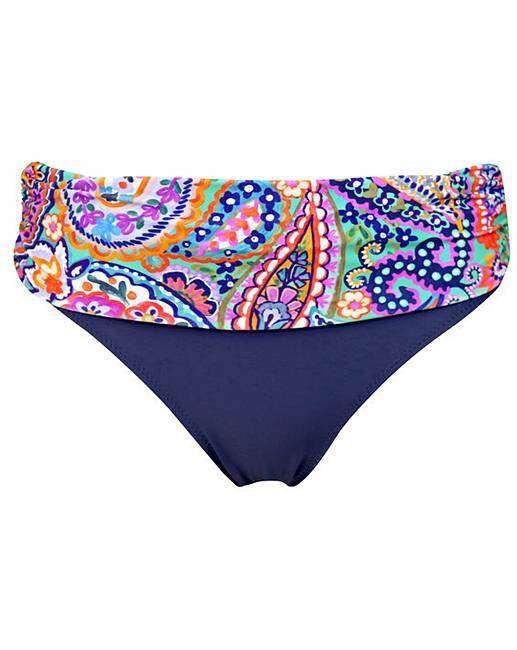 With the fold over section in our bright and vibrant Bohemia print, these cute bikini bottoms nail hippy chic, but they�ll do more than just show off your style credentials. We�ve painstakingly designed them so that every feature flatters your body. Take the block colour navy on the bottom. Matched with the navy straps on the Bohemia range of tops you'll get the perfect bikini set to balance out your body. 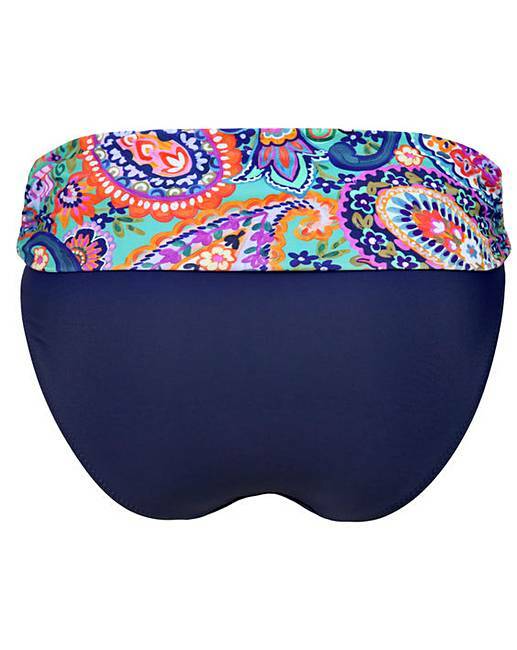 There�s great rear coverage and side ruching which keeps the briefs sitting perfectly on your hips, no matter how high-rise or low-rise you like them.